This item is sold as a spool of 10 yards. Description: Offray Tri-Stripe Woven Ribbon is perfect for apparel, home decor, floral arrangements and crafts of all kinds! Red, White and Royal Blue horizontal stripes. 100% Polyester. 1 1/2 inch x 10 yard. 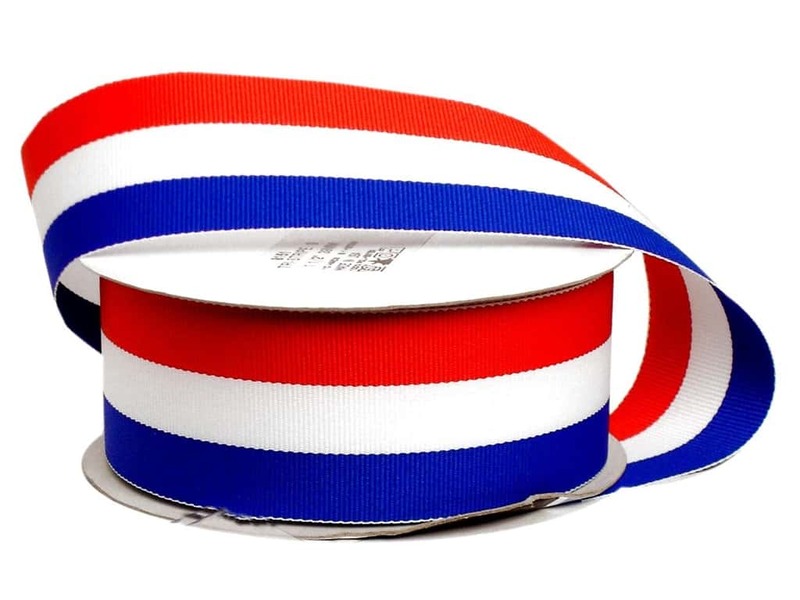 See more Offray Ribbon Woven Tri-Stripe Red/ White/ Royal.